the ceiling to create an eye-catching feature. When John Lewis moved into a new 92,000 square foot space in York, they decided to make it their most sustainable store to date. They also wanted it to be an exciting place to enter – where shoppers would immediately feel keen to explore. We were appointed to create a large, eye-catching lighting centrepiece that conformed to their sustainability requirements and highlighted the store’s overarching theme: “nature”. 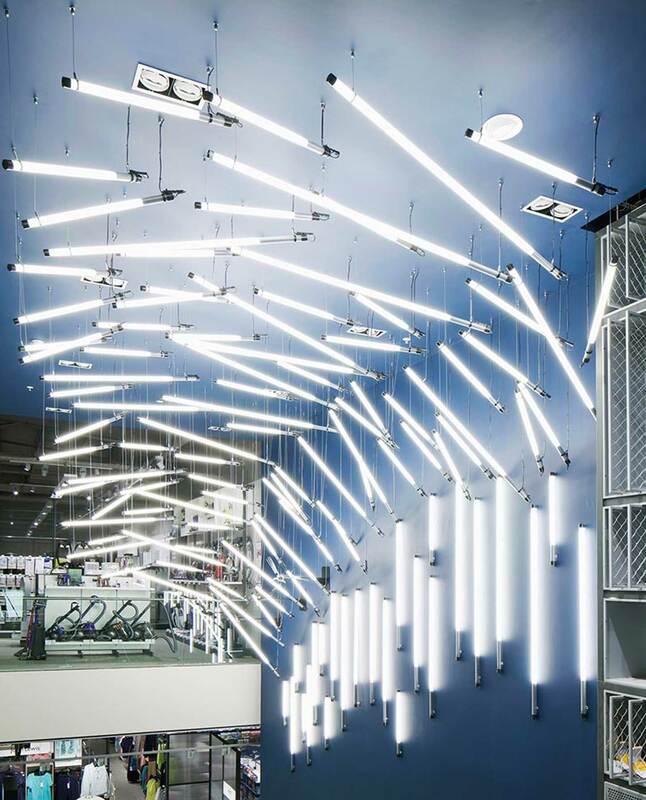 Our installation consists of multiple small fluorescent lamps suspended from the ceiling to resemble a “breaking wave” shape – which is viewable from almost all angles of the store without detracting visitors from their surroundings. It hangs over the ground-floor staircase to draw customers to the back of the store, and to encourage a flow of movement up and down the building. 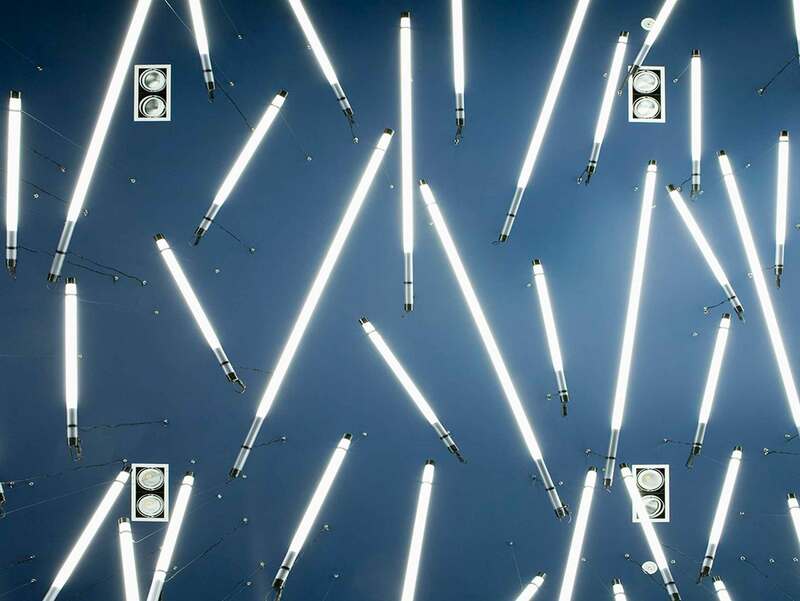 In keeping with the company’s focus on sustainability, we used long-lasting, low-energy fluorescent battens, which were meticulously coordinated to ensure that none of the technical components detract from the piece.